In a deal that could have a transformative impact on the contemporary energy industry, Chevron on Friday revealed plans to acquire oil and gas producer Anadarko Petroleum in a cash and stock deal valued at $33 billion, which comes out to about $65 per share, a more than 40% premium over Anadarko's Thursday close, CNBC reported. The combined company is expected to have an enterprise value of $50 billion. Shareholders of the gas exploration company will receive 0.3869 shares of Chevron and $16.25 in cash for each of their shares. The combined company is expected to deliver $1 billion in synergies. 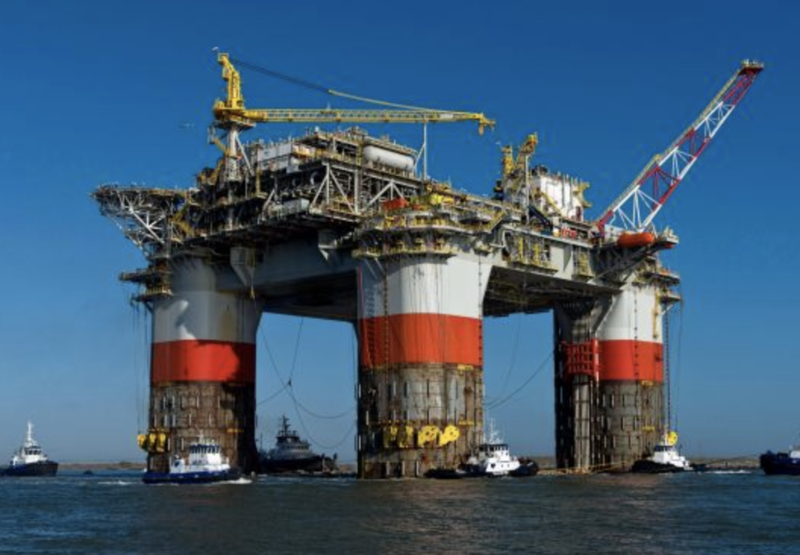 "This transaction will unlock significant value for shareholders, generating anticipated annual run-rate synergies of approximately $2 billion, and will be accretive to free cash flow and earnings one year after close," Chevron’s Chairman and CEO Michael Wirth said in a statement. The deal is expected to close later this year, and is subject to shareholder and regulatory approval. Chevron also revealed that it plans to boost its annual share buyback program to $5 billion from $4 billion. Chevron will also divest billions of dollars in assets after the deal. 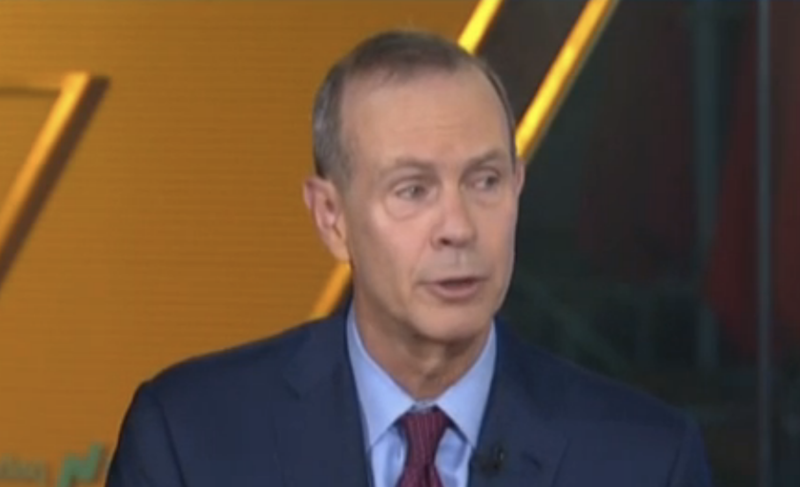 Speaking on CNBC just minutes after the deal news broke, Wirth touted Anadarko's LNG resources, from Permian basin to Mozambique. The deal will allow Chevron "to win in any environment," and added that it plays to Chevron's strengths in shale, deep water and natural gas. Anadarko shares soared in premarket trade, climbing 33% on the news, while Chevron was off about 2.3%. These are the biggest winner's from Anadarko's surge. Unsurprisingly, BlackRock takes the top spot. 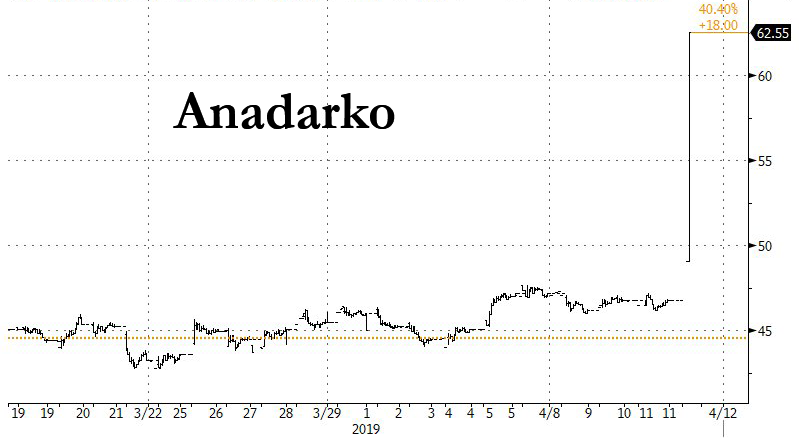 Chevron's decision to buy the company comes at a seemingly opportune moment; Anadarko's shares have lagged the S&P 500 energy index since the start of the year. Through Thursday's close, Anadarko was up 6.8% compared with 17.6% for the broader index.